Yes, it’s primary season. We all know it and it’s difficult to escape the constant pandering, posturing, and promoting. Each candidate is trying to provide their best sales pitch to the greatest number of people. At this point in the race, we are in an information loop; with so many candidates on the GOP stage, we’re hearing the same messages on repeat. If you’ve watched one debate, that’s enough to understand what the candidates stand for. Statements from these debates are dissected, scrutinized by newsrooms, and they’re stripped of context and converted into soundbites by radio personalities. During the GOP debate on Wednesday, each candidate spent a significant amount of time on outrage, on how President Obama has failed, and on what programs and executive orders they intend to eviscerate should they win the seat. What’s troubling about this is that very little time was committed to explaining precisely what they would do instead. It’s disconcerting, listening to ambitious political leaders pounding the podium and insisting on burning the building to the ground without explaining what they would build in its place. When fewer personalities cling desperately to the stage, perhaps we’ll be presented with a clearer picture. One of Mr. Ben Carson’s statements stood out to me. It was emblematic of how truly uncombed the GOP’s philosophy has become. To call the GOP disconnected is a kindness; if their oversimplified statements are more calculated than they appear, there’s only one conclusion we can take from the debate: the GOP does not respect the intellect of its constituents. The auditorium, predictably, erupted with applause. If we are to paraphrase his statement, though, it would appear to condemn America for falling into an attitude of meanness and contention, and the problem comes from prevailing secular attitudes that threaten to divorce America from is great religious traditions. I didn’t hear much discussion about this particular statement following the debate, but it clearly resounds with the Republican party and with GOP supporters. The implications are important. First and foremost, Carson unwittingly evoked the parable of the invisible man, although he missed the point entirely. He also insisted that religion, specifically Christianity, is the panacea to help resurrect civility in the industrialized world. 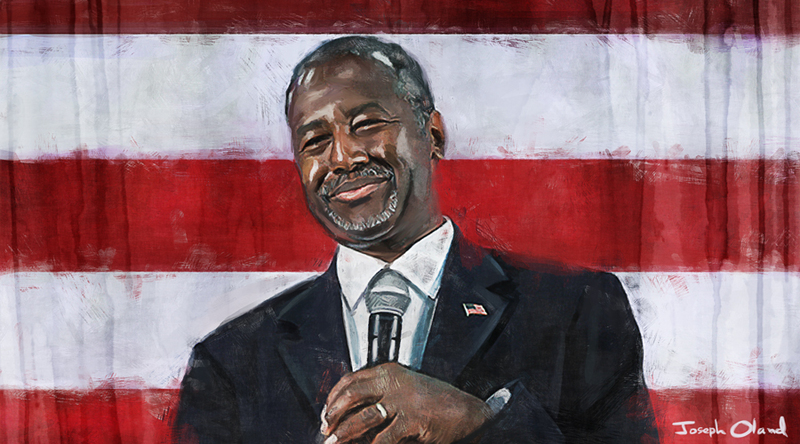 Like many in his cohort, Carson attempted to evoke a vision of a more civilized and cooperative American past, a 1950s pastiche of “simpler times.” The problem with that is that there has never in our history been a time of social perfection, and the ethnic strife and Cold War anxieties of mid-century America are the reality that “Leave It To Beaver” denies. What Carson failed to realize is that anonymity is a problematic concept, and the lack of accountability that it promotes will almost always result in mischief. Bank robbers wear masks for a reason. White collar criminals are good at erasing their tracks. YouTube comment sections are rife with hateful rhetoric because nobody is held accountable for the words that stream anonymously from their fingertips. No amount of religion is going to change that. What our leaders should be doing is promoting an atmosphere of accountability, not religious piety. They should not only preach from the pulpit of truth and transparency, but they should follow it up with sound legislation that reinforces that transparency. That is infinitely more American than insisting Christianity is the answer, than denying refugees because of their race or creed, than stripping regulation from the financial sector, of which every America citizen has a stake. Watching politicians making broad statements about the decline of culture is offensive. Insisting on a monolithic one-shot solution – be it religion, a giant wall, or a fleet of gunships – is an unrealistic and dangerous lie. We need thinking leaders who do not pander to the lowest common denominator, but instead inspire greater conversation and comprehension of our status as a nation-state. Don’t tell me about how President Obama has failed. Tell me what you are going to do that is so much better. And while you’re at it, you had better tell me why.